Town & Country shoppers should look at the Dodge Grand Caravan, which essentially is a less expensive version of the Chrysler van. The 2013 Chrysler Town & Country is tops in safety, flexibility, and features--the things that matter in minivans--though it's pricey. 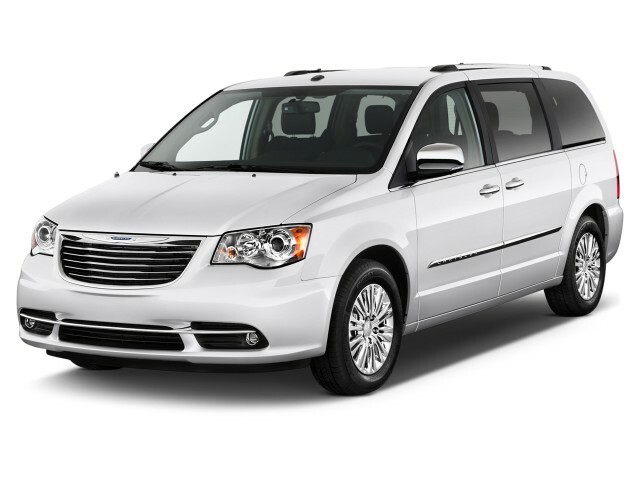 With no changes to its class-leading flexibility or to its powertrain, the Chrysler Town & Country is back for the 2013 model year with some new features and options that also keep it in the hunt for the title of most entertaining minivan. 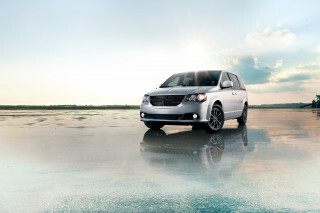 Redesigned in 2011 with a new interior, and revamped under its skin with a new V-6 drivetrain and a revised suspension, the Town & Country is the companion piece to the Dodge Grand Caravan. 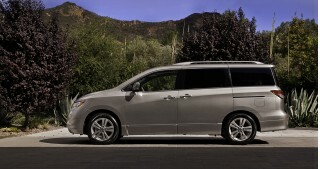 In the current Chrysler schema, the Town & Country is the premium offering--so while the Dodge van has a special edition priced below $20,000, the Chrysler minivan starts at about $30,000, in the search for the same upscale buyers that regularly put their money down on the competitive Toyota Sienna and Honda Odyssey family haulers. There's not so much visual space between the Dodge and Chrysler vans from the sides or rear, but in front, the Town & Country makes its pitch for discerning buyers with a winged logo and a discreet grille. It's still a square-jawed, upright vehicle, but the slightly softer look plays well (and relates it even more closely to the badge-engineered Volkswagen Routan). The Town & Country also has LED taillamps to distinguish it from the Grand Caravan. 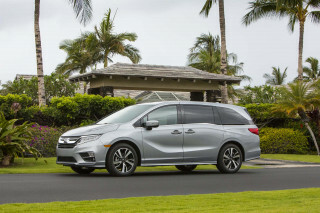 The cabin has more striking differences from its companion models: the instruments are ringed in chrome, and so are the major controls, and the overwhelming plasticky touches of the pre-2011 minivan have been completely excised. It's a rich look, punctuated by the analog clock that's meant to ape the shape of the grille. 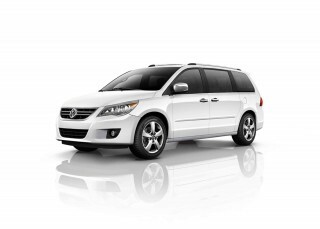 The Town & Country's drivetrain mirrors the one in the Grand Caravan. It's a 283-horsepower V-6, coupled to a six-speed automatic and front-wheel drive. 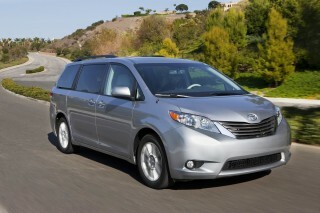 (Among minivans, only the Toyota Sienna still offers all-wheel drive). The powertrain is fine for toting a full family around from mall to mall, and the steering responds a bit more quickly than before. 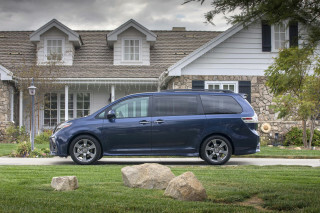 Ride and handling are oriented around safety and security: it's softly tuned, and the suspension bounds more than the fairly responsive Odyssey and Sienna. The V-6 delivers better acceleration by a wide margin, but fuel economy hasn't lost ground in adopting more horsepower. With standard Stow 'N Go seating system, the Chrysler minivans lead the minivan pack in flexibility. Stow 'N Go means the two rearmost rows of seats can be folded into the floor. The former Swivel 'N Go picnic table package is no longer available for reservations, however. 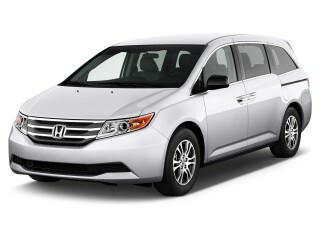 In its current edition, all Chrysler minivans have earned a Top Safety Pick rating from the IIHS. The Town & Country is offered in Touring, Touring-L and Limited trims. Most of the features offered as options on the Dodge are standard on the Chrysler, including power windows for front and side doors; power locks and mirrors; power side doors, tailgate and pedals; automatic headlights; garage door opener; a 115-volt outlet; Stow 'N Go; leather seats; and a power driver seat. Bluetooth and a USB port are standard. A safety option package includes parking sensors, rearview camera, and blind-spot monitors. Options include a sunroof; a navigation system; in-car wireless internet; a DVD entertainment system; and pushbutton start. New for the 2013 model year are a Blu-Ray DVD entertainment system, which Chrysler claims is an industry-first; it also features an HDMI input and twin USB ports for gaming and charging. Trailer-sway control has been integrated into the stability control system. Given its closeness to the new Grand Caravan, our editors are leaving those driving impressions with the high-volume Dodge. 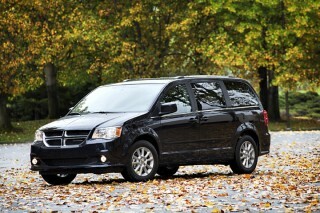 For more information, steer over to TheCarConnection's 2013 Dodge Grand Caravan page. I have been driving Chrysler Corporation built mini vans since 1984. Plymouth, Dodge, and now Chrysler. I have seen them morph and change with various corporate (Daimler Benz,etc) owners. They get you where... I have been driving Chrysler Corporation built mini vans since 1984. Plymouth, Dodge, and now Chrysler. I have seen them morph and change with various corporate (Daimler Benz,etc) owners. They get you where you want to go and the later models have evolved nicely with time. The stow & go seats are a feature that I cannot live without.